In the lesson "A Happy Sunday," preschoolers age two to five will learn the Easter story of Jesus' resurrection. 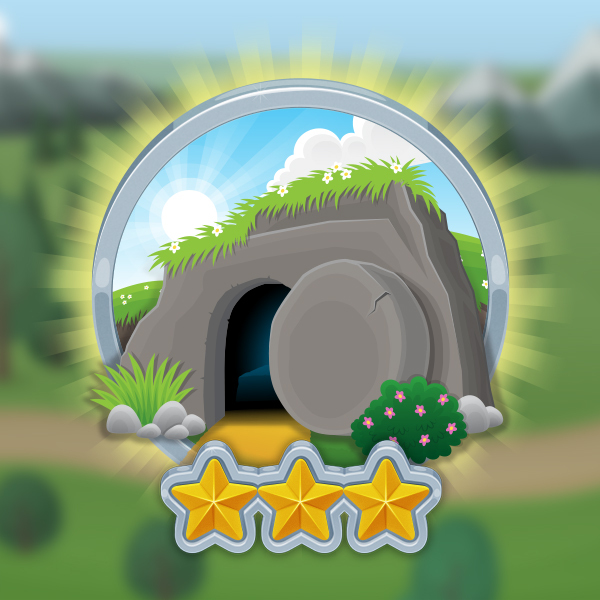 The Bible App for Kids Curriculum from the LifeKids.tv Team brings all the elements your preschoolers love best—like songs, animated characters, and an interactive host—together in a two-year curriculum designed to work in tandem with the stories in Bible App for Kids. This curriculum was built to be more engaging for preschoolers and more teacher-friendly for your children's ministries. In addition to in-church lessons that follow the Bible App for Kids animated stories, preschoolers and their parents can also watch lessons and memorize verses at home in the corresponding Bible App for Kids chapters. Visit www.bible.com/kids to download the app. **This curriculum was created at Life.Church and may contain references to internal programs and tools (like Roku) that are not available to Open users.